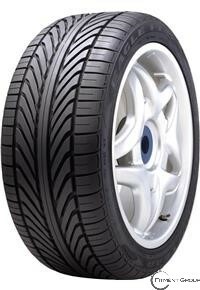 he Goodyear Eagle GS-D EMT is a summer ultra high performance tire that comes as original equipment on some hot rod styled cars. It provides excellent handling and traction on dry roads and has the ability to run while flat for up to 50 miles. Though the Eagle GS-D EMT performs well in many weather environments, it is not meant for use in icy or snowy conditions.